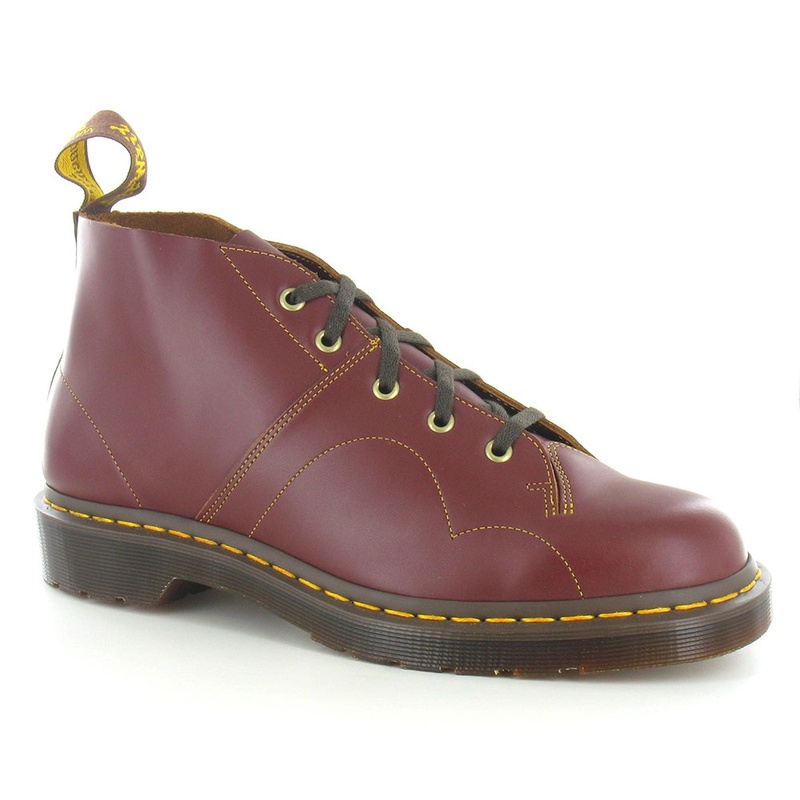 From Dr Martens 'Core Archive Collection' - a unisex Monkey Boot in beautiful Oxblood leather and iconic yellow z-welt stitching. The Dr Martens Church is a truly retro boot in classic 80's fashion. A style once worn by the Czech Army, these great men's boots have vintage, smooth leather uppers with contrasting base colour and grained effect. Detail stitching curves and undulates along its sides, heel and eyelet line. Each of the Church's five pairs of eyelets have tarnished brass coloured, metal ring inserts and are secured by flat brown laces over a flexible tongue. Dr Martens mens and womens Monkey Boots have leather inners with a padded textile insole, while its robust air-cushioned, oil, fat and acid resistant sole is perfect for everyday wear or taking a nostalgic trip to the days of the 'Pogo'. Great for men or women, boys or girls - take a walk back to the 80's in one of the iconic footwear styles of the decade - buy your pair of Dr Martens Church Leather Monkey Boots today!